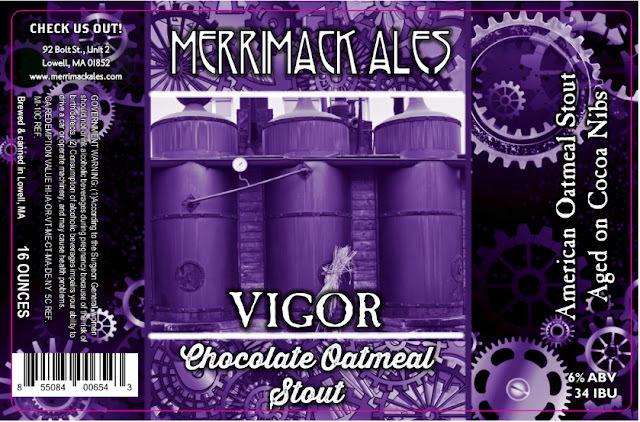 Vigor is available now and Chocolate Peanut Butter Stout is coming in 2-weeks. 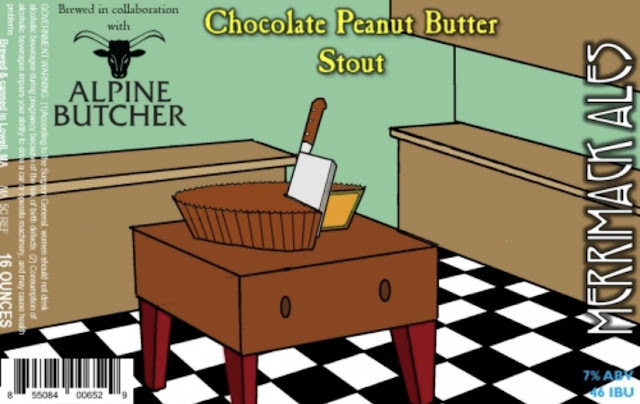 Merrimack Ales- Chocolate Peanut Butter Stout- This is one of our newest beers its our 7% ABV Chocolate Peanut butter stout we did in collaboration with Alpine Butcher in Lowell Massachusetts. It is made with strong notes of chocolate, coffee and peanut butter. It finishes smooth, dry and roasty with notes of chocolate, espresso and peanut butter. 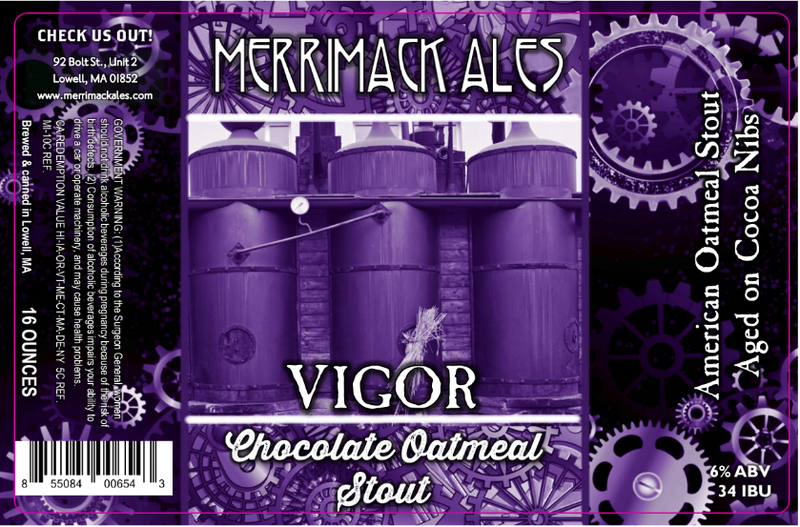 Merrimack Ales- Vigor- This is one of our flagship brews our Chocolate Oatmeal Stout 6% ABV 34 IBU’s and aged on Cocoa nibs. 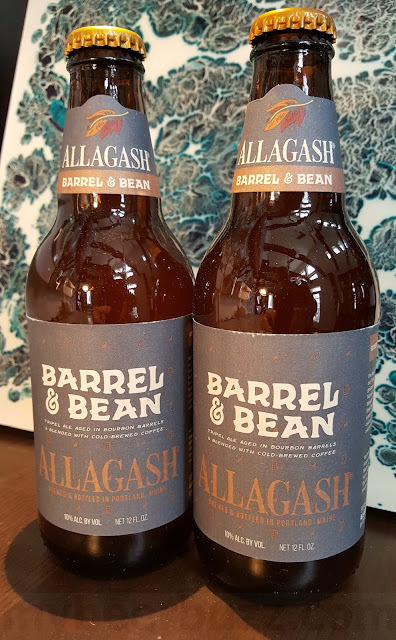 Rich roasted and chocolate malts mingle with oats and just enough hops to tame that sweetness. A secondary fermentation over cocoa provides just the right chocolaty finish to help take your mind off the long and unpredictable New England winter weather.